Automate a proprietary manual DNA Sequencing process. Adept was approached by a major New York University on the behalf of the graduate biology research department that was developing a new method of DNA sequencing. The university wanted to commercialize the new technology, however the graduate’s process sequenced only a single specimen per cycle. 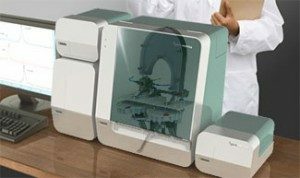 To make this process viable for commercialization it would be necessary to scale the process such that the machine would be able to sequence multiple specimens atomically. This was a unique project that required innovative thinking and a vast background of knowledge in mechanical engineering, industrial design and fluid dynamics in order to design, prototype and develop an innovative DNA Sequencing machine. The Universities team required veteran engineering experience to design and construct a cost effective, compact and efficient unit capable of withstanding the 15 or more atmospheres of pressure required for their process. An additional challenge was to pressurize and depressurize the specimen compartment atomically as each specimen was processed without outside intervention. 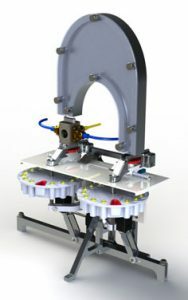 To combat the heavy sealing force required, Adept custom designed and prototyped a compact and efficient scissor jack (similar in function and appearance to a common automobile jack). 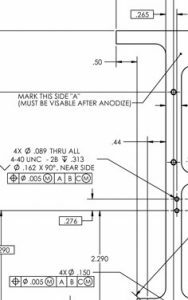 The linkage was perfectly suited to provide the exact type of motion and force requirements required. By properly configuring this mechanism a small NEMA 17 stepper motor was able to generate the enormous forces required. The proper application of sound Engineering theory will often yield innovative and clever solutions to what can sometimes appear to be a daunting, if not impossible task. The introduction of a relatively simple mechanism enabled the university to reach its goal of commercializing its process and has brought it’s DNA sequencing machine to market rapidly and effectively. Thousands of these units have been built and sold to date. 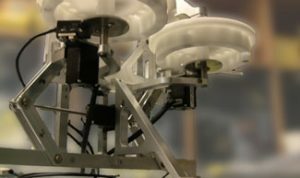 Adept’s team of Mechanical, Electrical and Industrial Design engineers performed in concert to create this unique and purpose driven machine. Allow Adept’s team to apply these same talents to your next engineering challenge.